This is the second year into the project. 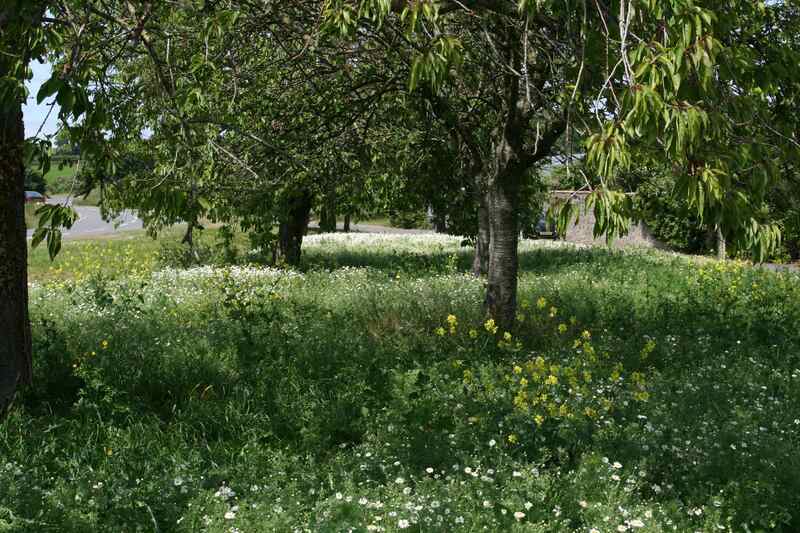 In Summer 2013 the meadow was a sea of dominant white from wild camomile. Forty seven other species were counted but were not obvious. 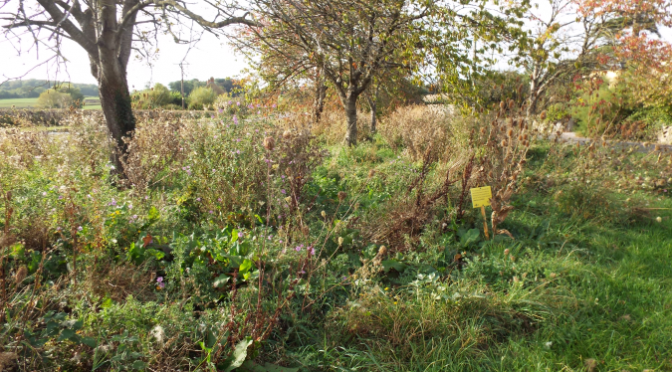 Autumn came and the meadow looked untidy whilst the flower seeds were allowed to mature. 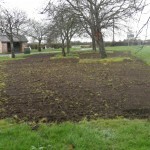 The meadow was cut and eventually cleared. 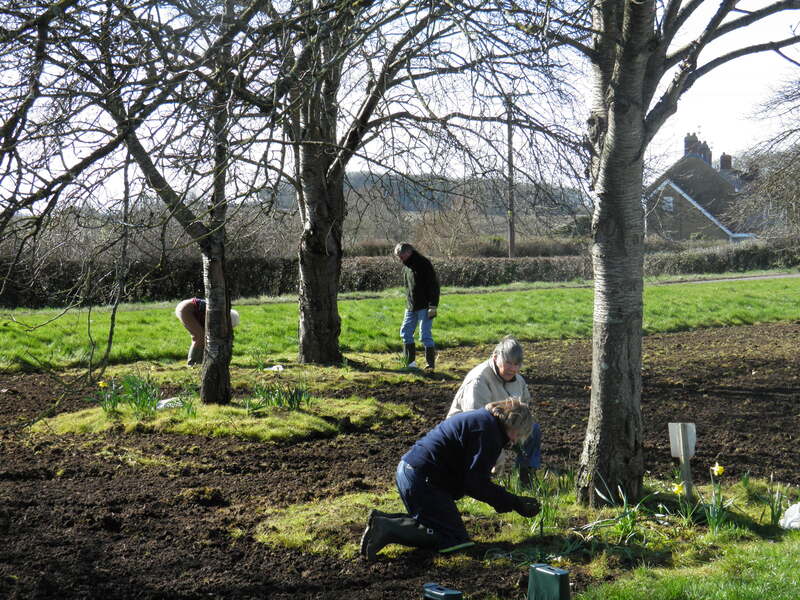 Daffodil, Anemone and bluebell bulbs were purchased and planted. After Christmas 2013 a raffle was held at the Village Hall Coffee Morning. Due to the generosity of everyone it was a very successful morning. Seeds were subsequently purchased. 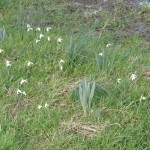 Early this year snowdrops and wild daffodils appeared closely followed by the bluebells. 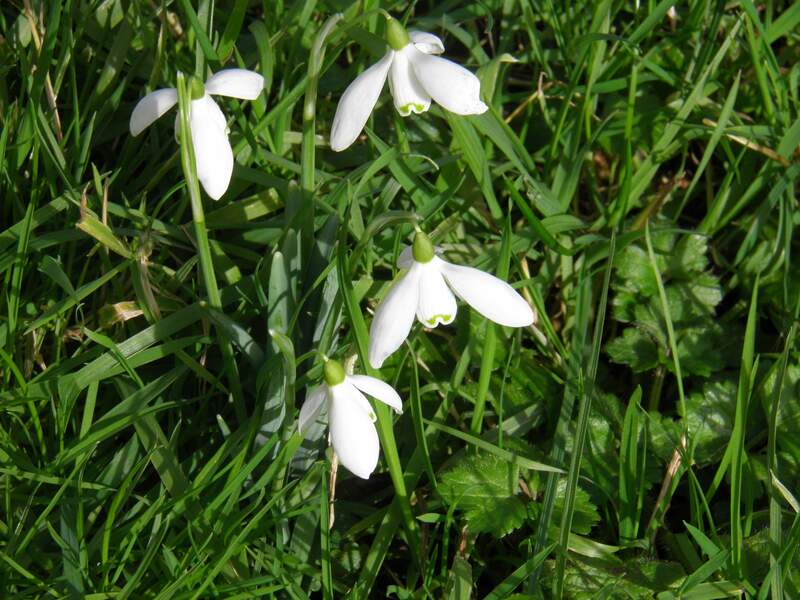 In February snowdrops were planted in the green ready for Spring 2015. Many compliments were received over the year. One or two comments expressed the untidiness of the area and would rather have it reverted to grass. It is hoped that this is not the general opinion. 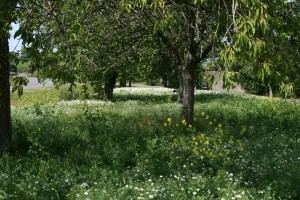 Throughout the spring and into early summer the meadow grew steadily. Pink campion came out early and created a sea of pink but unlike the preceding year the species intermingled……..white campion, thistle, vetch, wild carrot, corn marigold, poppy, corn cockle, flax, camomile, cornflower and many other species. In March wild poppy seeds were sown as a result of a request to remember the First World War Centenary. Very few came up. Perhaps they will next year. During the Summer a path was cut through the meadow in the hope that people might walk through and look at the flowers close up. We will do the same next Summer. Throughout this Summer the meadow has been largely left to its own devices and it is hoped that the result has been pleasing for many. There are still monies in the account to buy bulbs which will be planted soon. The meadow will be cut down shortly and after leaving it for a few days for the seeds to fall to the earth the debris will be cleared. From January onwards a new season will begin the cycle all over again. Next Summer will bring an even greater variety of wild grasses and flowers. 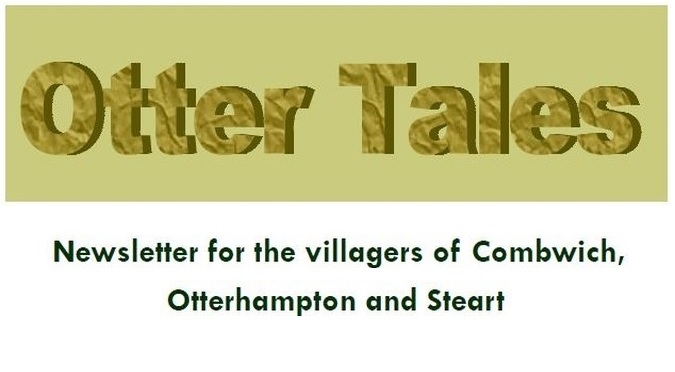 It is hoped that everyone in the village and those who see it in passing will enjoy the display and know that it attracts pollinating insects, butterflies, bees, birds and any animals which shelter there. 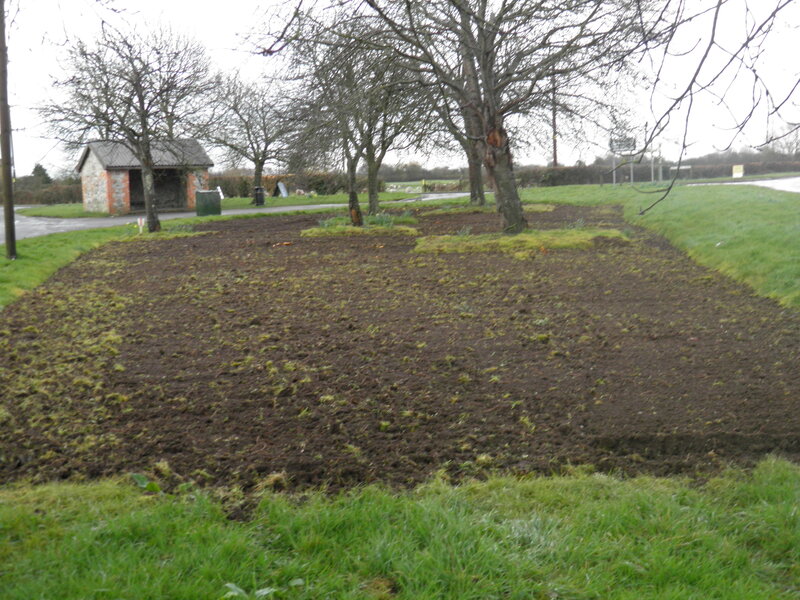 It is hoped that this small meadow area can continue to grow for many years to come. So that this can succeed volunteers are desperately needed. If anyone of any age with any skills….not just gardening…..could help then please ring the secretary John Bailey on…01278 652540. 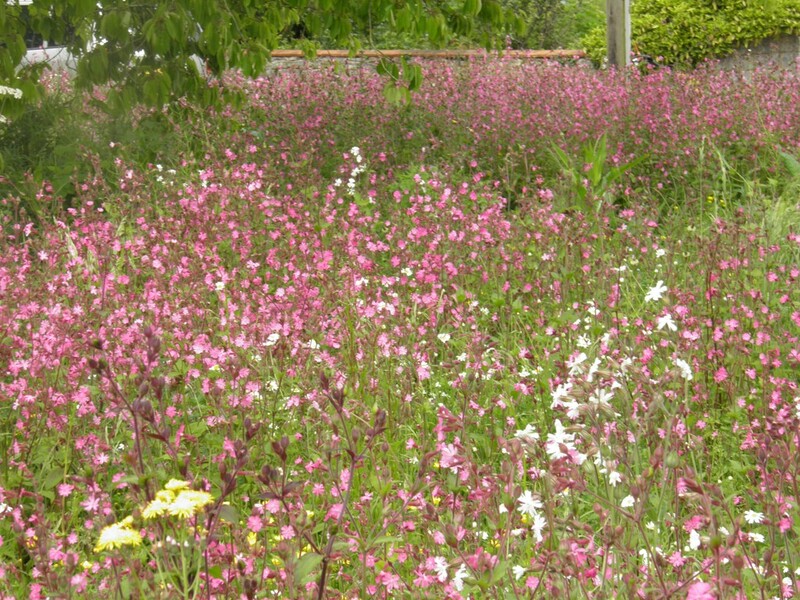 The wild flower meadow has made great progress this year and we have received many compliments. Next year will be even better…..these things take time. 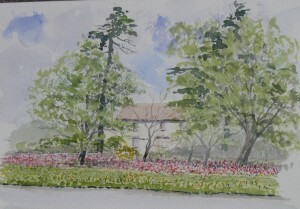 This week we have made a pathway through the flowers and anyone is welcome to take a stroll through and enjoy it. We respectfully ask that you do not stray from the designated walkway or to let your children or dogs run through it. There are many more flowers expected other than the prevalent pink and white you can see at the moment. Come and take time to look a little closer and you will see smaller species nearer to the ground. If you have a little spare time you are very welcome to come and join our little team. Younger members would be especially welcome. Please contact our secretary John Bailey on 01278-652540 if you have any questions or would like to come and help us. 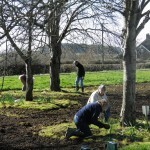 Please have a look at the wild flower meadow site as you pass by. Agreed it all looks a little soggy and sorry but look closely and you will see little rays of hope for better weather to come. Other flowers will follow soon. 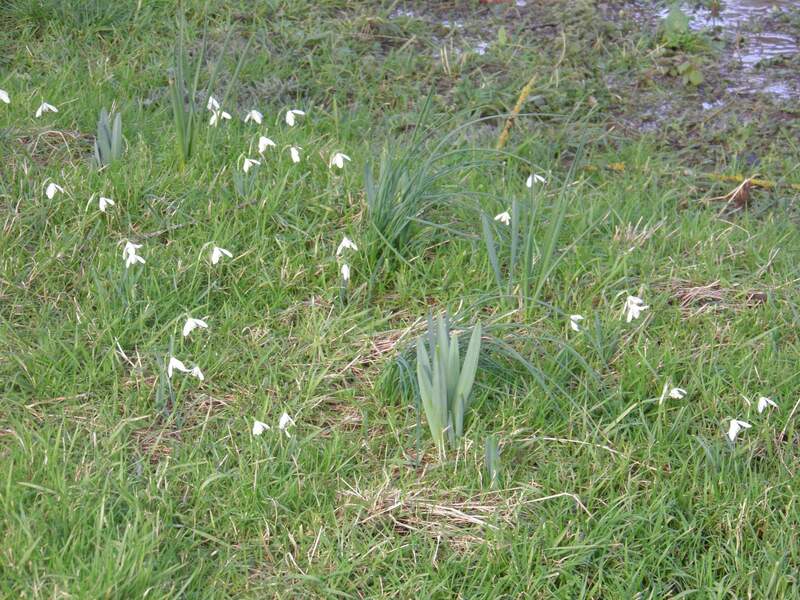 We await the wild daffodils that we planted last autumn and a little later the anemones. A special thank you to all who supported our raffle to raise funds to buy more seeds and bulbs and to maintain the site for the coming season. We have raised over £150 thanks to the generosity of everyone and especially those who gave prizes for the raffle and to Helen and the coffee club who gave us the takings from last weeks’ meeting. We hope that you will continue to support us and send us your comments and any ideas you have. We hope that this Summer the meadow will have a wider variety of species. Time will tell. Maureen, Louise, Liz and John. It was suggested by Connor (pictured to the right) that we should sow the poppy seeds to commemorate the centenary of the outbreak of the Great War in 1914. Seed was duly purchased and we asked Connor to join us last Saturday. 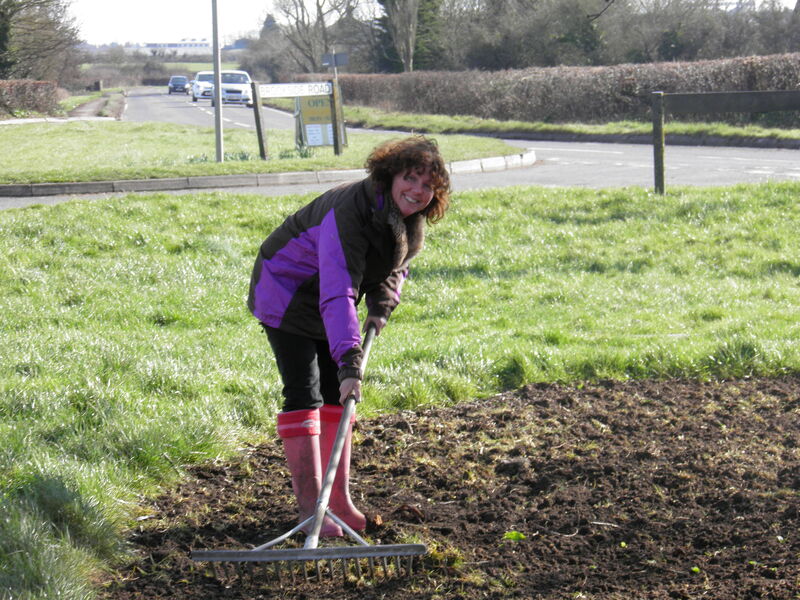 It was a beautiful day and we duly raked the earth before sowing the seeds. Hopefully next summer we will have a swathe of poppies to remind us all of the loss of so many lives on the battlefields of Flanders. Many thanks to Connor for his great idea. 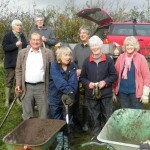 We welcome anyone who might be able to spare time especially next Spring to help in anyway. 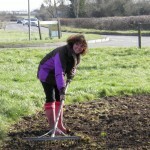 Expertise in all things gardening is not a prerequisite! 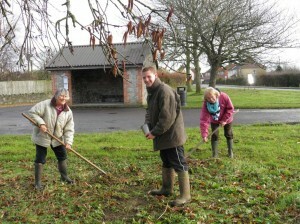 This Autumn marks the first Anniversary of the beginning of the Combwich Wildflower Project. 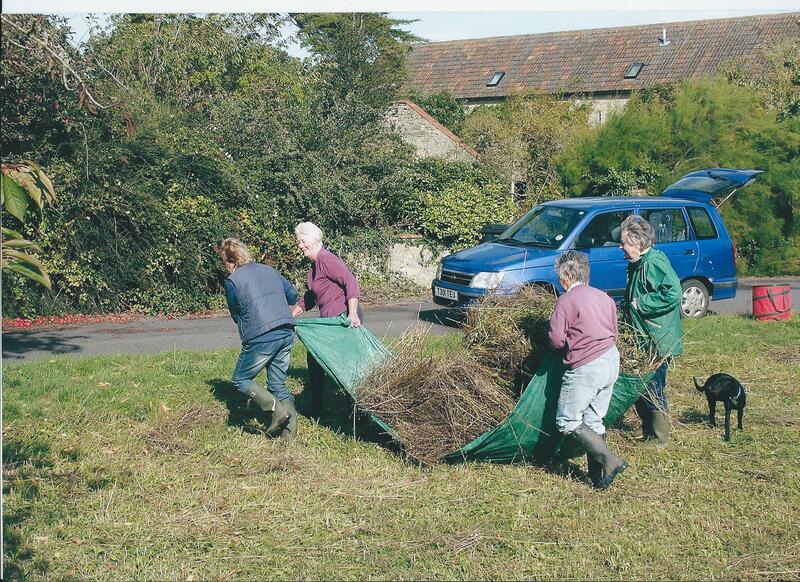 It has been supported by many people in the Village and this has been much appreciated by our little team. 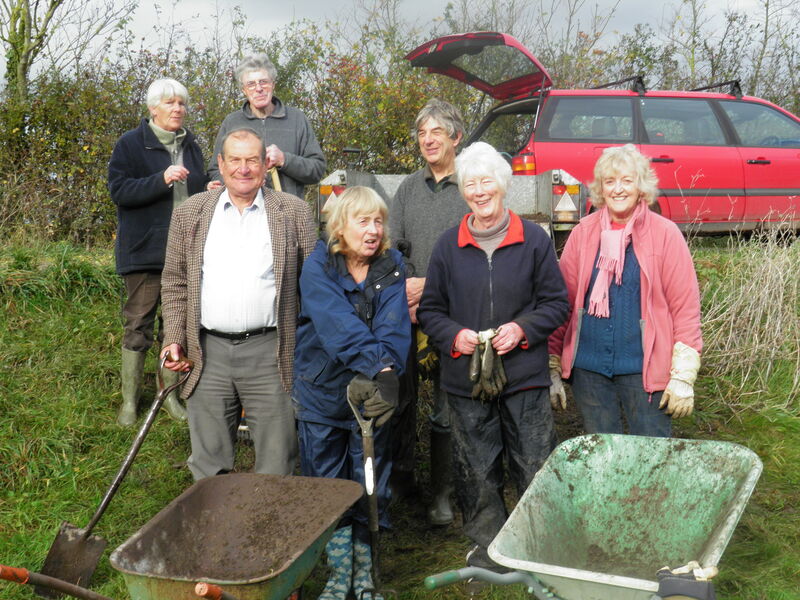 We….the committee…..Maureen, Liz, Louse and Christine…started the project later than hoped due to the poor weather both before and after Christmas. After removing the turf the whole area looked miserable with lots of extremely large puddles appearing. Finally the weather did improve and the ground dried up enough for sowing the seed. It was exciting to see the first swathes of green. By Midsummer most people agreed that the site was a picture. Now the seeds are setting and it all looks a bit sad and very Autumnal. Very soon we will cut it all down and remove the dead material once we are sure that all the seeds have had a chance to drop. We appreciate that it is difficult to have a vision of how the site might look over the next few years but it will become better every Summer with more flower species appearing. In Spring primroses, daffodils, anemones ,snowdrops, fritillaries and bluebells will appear and the whole cycle will amazingly begin again. We do hope that those people who have reservations will give the project a chance to grow and to give a much needed home to bees, butterflies and pollinators. Next year you are invited to come and walk through a path which will wind through the meadow and perhaps pick a few flowers. Ring anytime or speak to us directly. We really do welcome your comments and ideas.